Welcome to the War Gunner website! 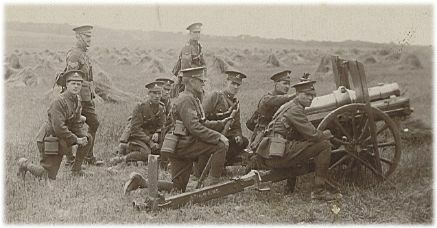 This website is dedicated to the memory of my grandfather: John Parsons (Second on the right, pausing to fire! ), a Gunner and Cook in the Second World War. In this site you will find War related historical data, war stories, photos and links. Coming soon: I will be adding more links to other websites. New: I have added a second site for additional Stories, Poetry and Memorials. !! CLICK HERE TO JUMP TO SECOND SITE AREA !! There is new information on the 58th Med Regt Royal Artillery: 1940-5 - CLICK HERE!! There also is a new item of the BBC Suffolk Website - CLICK HERE!! This page was last updated on 02-Nov-2009. Want to join the British Regiments Ring?